Last year, there was a sense of dread as Clemson rolled south out of the Promised Land and into Sodom & Gomorrah, aka the Armpit, aka Columbia. This year, the dread has been replaced by anger. Anger at ourselves for missing out on being a regional host. Anger at Jack for coming up short in big games. Anger at Swofford & the ACC for the debacle known as the round-robin format. And anger at the NCAA for sending Clemson back to Columbia. But it's not just the upstate folk with a different sing in their head. The locals themselves are a little shaky, and the result is a slower, quieter tune as they enter the postseason without Mr. Roth, their ace, or Mr. Tanner, their fearless leader. Last year South Carolina was riding the coattails of back to back National Championships and carried that swagger all the way to a third straight championship game appearance. 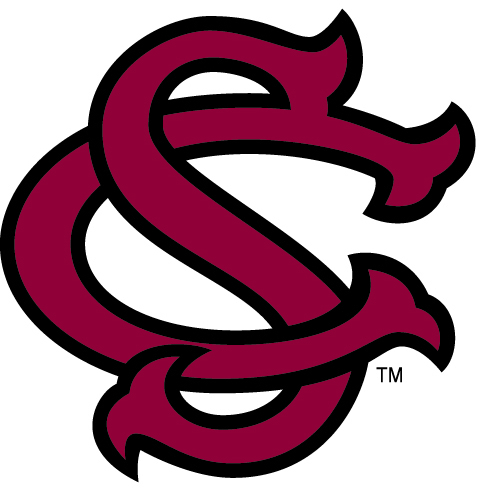 And not only did South Carolina know they were strong, so did everyone else - including Clemson and Jack Leggett. And in the end, that confidence was too much for Clemson's streaky bats to overcome. But this year feels different. Neither team finished the year with much panache, and neither team won a game in their conference tournament, and neither team has been swinging the bat very effectively. If anything, both teams enter with a slight confidence problem. Unfortunately for Clemson, playing in the armpit will only help to speed the Gamecock's rehab process. And with both state schools sporting plenty of issues, the opportunity for a lower seed team to steal this regional becomes more and more plausible. So, knowing it's potentially anyone's regional, let's take a look at what's at stake, who has the most to gain, the most to lose, and what will probably happen. If they win they will most likely travel to National #1 Seeded UNC, which looks pretty sharp, especially after outlasting Clemson and NC State over a combined 32 innings in the ACC Tournament. They seem to have the magic South Carolina so often carried over the last 3 years. On the flip side, they are capable of being beaten, something Clemson should have done in their second game. And with good pitching and timely hitting, even top seeded UNC could struggle over a short 3 game series. For USC, winning their host regional would advance them to their 11th overall Super Regional, all within the past 14 years. But more than the stats, advancing through their host regional, and sending Clemson home again, would mean Chad Holbrook is keeping the momentum, and standard, Ray Tanner established during his tenure. And it could set USC up for another run to Omaha. If Clemson should win the Columbia regional, they would be forced to travel to Chapel Hill, to play a team they went 1-3 against this season (though it should have been 2-2). If for some reason, UNC should lose their home regional, Clemson would most likely host the Super's. By winning the Regional, Clemson would reach the Super Regionals for the 10th time in 15 years. And similar to USC, beating their rival means more than the stats. Clemson would exorcise some demons, turn the tables on South Carolina, and potentially shift the momentum in this series. And advancing to the Super's would set Clemson up for a special season in 2013-2014. Should Liberty win the regional, they would also be forced to travel, unless a major upset in Chapel Hill occurs. This is Liberty's fourth regional appearance, where they've gone 1-6 all time. Winning the regional would advance them past the first grouping for the first time, and would bring them, and their conference, great national exposure. It would also validate some of Liberty's recent regular season success against big name schools. For Saint Louis, winning the Columbia regional would bring about large parties and old videos of their 1965 team that advanced to Omaha. It would also send Clemson and South Carolina down to the pits as both would spend the offseason answering questions about their team and coach. Recently, USC has owned this series, as every USC fan will remind you. But this weekend offers Clemson an opportunity they haven't had in quite a while: a chance to flip the tables back on South Carolina and begin to bring this series back to the upstate. With Tanner leaving and Holbrook stepping in, some of the aura of USC baseball is gone. Additionally, with the way USC finished the season, they are by no means guaranteed of walking through this regional. But even if South Carolina is able to hold serve at home and send Clemson home for the summer, I'm not sure how much difference it would make in the grand scheme of things. Nothing changes locally as USC still maintains control of the state, Jack continues to struggle in big games, and the transition between Tanner and Holbrook is complete. The biggest question for Clemson will be whether their young crop of freshman are ready for the big stage of tournament baseball. If the ACC Tournament was any indication, they've got some learning to do. But hopefully the difference between the ACC Tournament and this regional will be like the difference a football teams sees between weeks 1 and 2. If so, Clemson has a chance to make some noise, and going forward, maybe regain control of this rivalry, and this state. While Liberty and Saint Louis winning the regional would be a great story, I'm not sure it would have the lasting effect a Clemson win would. And with that, Clemson has the most to gain while trompsing through the armpit. If South Carolina limps through their own regional, it could have major implications on this program and fan base - implications that could set it back to pre-Tanner levels. This is not to say they won't still be good, they just won't have that "it" factor like they do now. And to combine that with being sent home by your rival - someone you've completely owned over that time, could only speed that process up. Clemson has high expectations for itself, but in some regards, they've already exceeded those expectations by doing as well as they have. To continue winning would only further make their fan base feel great and propel them to great things next season. Clemson fans have a tendency to be rough on their boys. To get down on them a bit when things don't go our way. But as I said earlier, this week feels different. There's an anger in the air - one that if Clemson can properly channel, could pay them great dividends. But what Clemson needs to do first, before they can dream of celebrating in Five Points, is to score some runs. If they can get off to a fast start against Liberty, it could be a great sign for the weekend. If they struggle early, pray for the pitching, or we could have another ACC Tournament type performance on our hands. Both Clemson and South Carolina look to be saving their aces for Saturday, and it should be a good game, assuming they both make it. 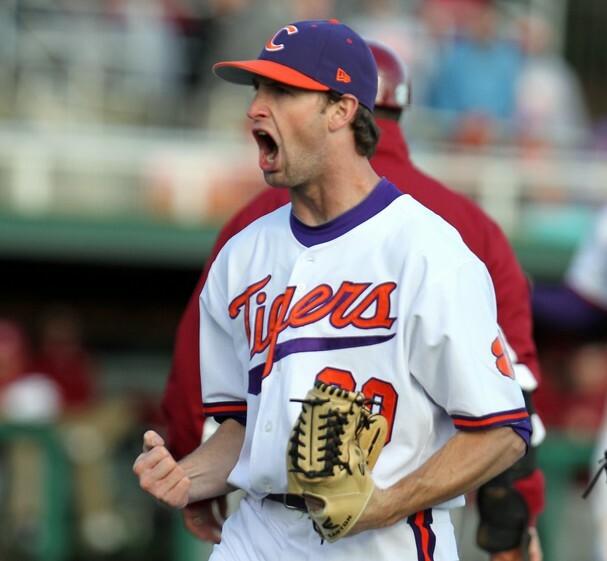 Earlier this season, Montgomery shut Clemson down for 8 innings in Clemson, while Gossett gave up just one earned run. For Clemson to win, they need to do three things: grab an early lead to keep the pressure on South Carolina (and to stay away from Webb), play great defense, and be smart, but aggressive on the base paths. If Clemson can do those things, they have a chance give the armpit the Steven Gacria treatment. If they don't, then history may repeat itself once again. Regardless, I don't think anyone comes out of this regional unscathed, which ultimately may play into Clemson's hands as they not only have a deep bullpen, but one that can log solid innings. Also, because of the buildup for a potential Clemson-Carolina matchup, don't be surprised to see one of the lower seeds pull an upset on Friday, forcing a really good team to fight through the loser's bracket. Look for both Clemson and South Carolina to both win way too-close for comfort games against Liberty and Saint Louis Friday, setting up the desired rematch Saturday evening; however, the pitching matchup does not bode well for Clemson and they fall to South Carolina Saturday night. Clemson then works their way through the loser's bracket against Saint Louis to earn a rematch with South Carolina Sunday afternoon. They are able to steal that win, setting up a winner take-all night game. And for that game, it's just too hard to tell, but hopefully Clemson finish the 2-game sweep and turn the tides on South Carolina. Good luck to all teams, and like I tell everyone visiting Columbia - "Be careful and try to stay safe!" While many of our Tiger brethren are upset at being sent back to the Armpit, when you look at the numbers, there's actually not all that much separating the two schools (at least when you focus on being at the stadium rather than the dangers of reaching the stadium). 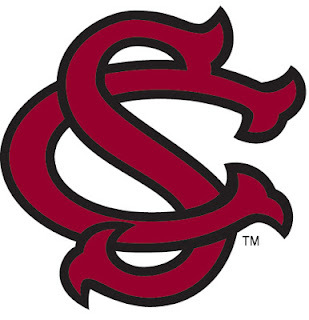 In fact, South Carolina holds a slim lead in many categories, including 1/2 game in the record column (due to a rained out game against a national seed - where have Clemson fans heard that before) and mere decimal places in RPI, ERA, WHIP, and Batting Average. Even with Clemson struggling over the past 7-10 days, South Carolina is only a game better in both the Last 5 and Last 10 category. The only clear advantage is the long ball, which Clemson will try to counter with speed. Check out the stats below and come back soon as we put together our What to Watch for Segment. When the Tigers stroll into the DAC, they will have many things on their mind, ranging from staying safe* to securing a regional host bid to winning the tournament. While dodging crime sprees, Clemson will try to accomplish two major feats: 1) Repeat what they've done in each of the last 9 tournaments, and 2) Do something they've never done. If they can pull off the latter, then the former takes care of itself. And since the latter controls the formal, let's break it down first. We'll follow with general observations of the format and teams, so everyone is prepared come this evening. As a Clemson fan, we love history and statistics (just ask any USC fan), but occasionally the history and statistics lesson backfires. That is the case with the ACC Baseball Tournament. Since 1994, Clemson has claimed just one Tournament trophy - the 2006 version, or the final year of the traditional double-elimination format. Since the implementation of the round-robin format, Clemson has never won all three pool games and has never advanced to the Championship game. This weekend doesn't bode well for the Tigers getting their first shot as their half of the bracket is "stacked" with all four teams having a Top 20 RPI, including the nation's #1 team in UNC. Additionally, being snookered out of the 4th seed by NC State means Clemson has no 3-way tiebreaker options. They must win their pool outright. For Clemson to "lock down" a regional host bid, they need to do something they've never done: win their pool in round-robin play and advance to the Championship Game. The good side of history and statistics shows us a different side of the ACC Tournament - consistency. While Clemson may only have 1 ACC Tournament Championship since 1994, they've earned at least 1 win in each of the last nine seasons, and thirteen out of the last fourteen. Since the round-robin format is only five years old (and let's hope it stays that age), Clemson has never left this format empty handed. With Clemson sitting just one win away from the magical 40 win mark, they need to “Keep on keeping on” and do something they've done each of the last 9 years and grab a win. This only strengthens an already solid resume, and should be enough to pencil them in as a regional host. By finishing 5th, Clemson is paired with the 1, 4, & 8 seeds, all of which have a Top 20 RPI. By far, this is the stronger pool, and Clemson will need to play well, and catch a few breaks to make it to Sunday. Like any good bracket, the higher seed dictates schedule, meaning Clemson opens w/ NC State tonight, followed by a day off on Thursday, UNC on Friday, and finished with Miami on Saturday. The one fact that gives Clemson their best chance of doing some damage in Durham is that they will miss all three teams’ primary starter. Clemson will not face NC State’s top draft pick Rodon as they will send freshman Brad Stone to the mound. He will undoubtedly strike out a few Tigers, but hopefully they can do better against them this time around and get to him early. On Friday, Clemson will get UNC’s #2 as ACC Pitcher of the Year Emanuel goes for them on Thursday against Miami. On Saturday, Clemson will get Miami’s #3. This, along with Clemson’s arms, will give them a chance in all three games. Random fact: Clemson played all three teams on the road, and lost two of the three series. And each series played out totally different. Against NC State, the Clemson bats came to life and Clemson won the first two games in rather easy fashion, but faltered in the third when going for the sweep. NC State will throw Brad Stone at Clemson, the freshman who shut them down the first time. With Gossett going for the Tigers, the goal will be to jump out to an early lead and let Gossett get into a rhythm; however, the NC State bats are some of the most potent Clemson will face. At UNC, Clemson took the opposite approach as they lost the first two games in rather convincing fashion, only to salvage the series with an extra-inning win over. The win marked Clemson’s 16th win over a top ranked team, and gave UNC only their second loss of the season. This time, Clemson will get Saturday starter Benton Moss, who was perfect through 2+ innings before the skies opened up. Clemson’s best chance is to play a quick, low-scoring game, and hope for a few timely hits – something they couldn’t do in the last two games at FSU. Against Miami, Clemson won the opening game, but lost the series as the bats never left the state. Gossett made a single run stand in the opener, but Clemson scored just one more run over the weekend, and ended the series with 16 straight scoreless innings. Both teams have much at stake, and much to lose, but what makes this game so difficult is the uncertainty of it. It could be for everything, or it could be for nothing, and odds are nothing will be on the line when the first pitch is thrown. The question will be which team stays mentally prepared. For Clemson, tonight’s game against NC State means everything. If Clemson loses tonight, they no longer control their destiny as they will lose all tie-break scenarios. And if NC State were to also win against Miami on Friday morning, Clemson would already eliminated before they even play their second game. Additionally, the Clemson bats are very streaky. If they get off to a hot start, the hitting could continue through the weekend. Conversely, if they get off on the wrong foot, it could be a long week. The good news for Clemson fans will be the Clemson arms. As witnessed last weekend at FSU, the Tiger pitching staff has good stuff. Stuff so good, it could carry them to the championship. The problem is the bats aren’t consistent enough to overcome a subpar pitching performance. And chances are, playing 3-4 games in the 4 nights will present at least one opportunity where the bats will need to bail out the arms. Let’s hope that happens Sunday afternoon, and not later tonight. Look for Clemson to steal a win tonight over a hot NC State team, only to struggle to score runs against UNC & Miami. In the end, UNC continues their ACC dominance with a win over a surprisingly game VT team to claim the title. This time last week Clemson was preparing for a weekend set with Georgia Southern as one of 20+ teams with a hand on of the 16 regional bids, hoping they could keep they could outlast the others. This week, Clemson appears to have a firm grip on a bid and is looking to improve its position. That’s what one week and five straight wins can do for you in college baseball. The resume for a National Seed is still thin, but what was thought to be impossible can at least be discussed. We stated Clemson needed to get its win total near 44 and a Top 10 RPI. They are currently 39-16, with a minimum of four games to go, and have the 12th ranked RPI. This means to have a legitimate shot as a National Seed, they need to snag an additional 5 wins, which means win the series against FSU & then sweep their way through the ACC Tourney. If you assume UNC/UVA get national seeds from the ACC, Vandy/LSU get them from the SEC, Oregon/OSU gets them from the PAC12, and Cal State Fullerton grabs one from a non-power conference, that leaves one slot open, with FSU/Clemson/NCSU/USC/MSU all battling for it. Right now, FSU sits in the best position in terms of wins & RPI. A final win over Clemson today may even seal the deal. In regards to becoming a regional host, we established UVA & UNC are National Seed locks, which leaves two guaranteed regional bids available for Clemson, FSU, & NC State to fight over. FSU was the front runner based on polls, record, & RPI, with Clemson & NC State in a near deadlock for the fourth. With Clemson pulling ahead of NC State in the standings, pulling closer in the polls & RPI, and winning the season series, it looks like they would get the guaranteed fourth slot. Using historical data, we established Clemson needed a Top 15 (Top 12 preferred) RPI & 40 wins (42 preferred) to lock down a bid. The Top 12 RPI appears guaranteed (even two losses to a Top 8 team shouldn’t hurt their rating) and they only need one more win to reach 40. It would behoove Clemson to go ahead and grab that 40th win today in Tallahassee to remove any excess pressure from the ACC Tourney, which has not been kind to the Tigers. They are just 8-10 since the round-robin format was introduced in 2007, with no Championship Game appearances. In addition, this year’s tournament could be on the deepest ever, with Miami & Georgia Tech lurking as the 7 & 8 seeds. Expect Clemson to win the series in Tallahassee, grab their 40th win, and play well in the ACC Tourney, but be perfectly content to watch the title game back in Clemson as they prepare to host three other teams. And I still expect Clemson to be paired with either an Oregon based team or LSU. Regardless of what happens, know these Tigers have fought hard, improved tremendously, and deserve every win and accolade they receive. Hopefully they can celebrate with the locals and the Cajun Café. Friday, May 17th - Clemson Hosting a Regional? The resume for a National Seed is still thin, but what was thought to be impossible can at least be discussed. We stated Clemson needed to get its win total near 44 and a Top 10 RPI. They are currently 39-15, with a minimum of five games to go, and have the 11th ranked RPI. This means to have a legitimate shot as a National Seed, they need to snag an additional 5 wins. There appears to be only two options to get there: 1) Finish the sweep of FSU & win at least three games in the ACC Tourney, or 2) Win the series against FSU & then sweep their way through the ACC Tourney. Neither option is pretty. Neither option will be easy. But, with this team and pitching staff, all options are open. It would behoove Clemson to go ahead and grab that 40th win this weekend in Tallahassee to remove any excess pressure from the ACC Tourney, which has not been kind to the Tigers. They are just 8-10 since the round-robin format was introduced in 2007, with no Championship Game appearances. In addition, this year’s tournament could be on the deepest ever, with Miami & Georgia Tech lurking as the 7 & 8 seeds. Expect Clemson to win the series in Tallahassee to get to 40 wins, play well in the ACC Tourney, but be perfectly content to watch the title game back in Clemson as they prepare to host three other teams. And I still expect Clemson to be paired with either an Oregon based team or LSU.